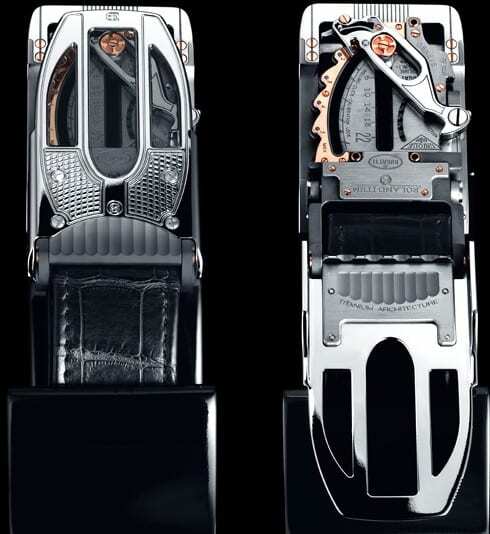 Roland Iten has designed a unique mechanically performing belt mechanism to rival even the finest watch movements. Hand- crafted bridges, cogs, wheels, springs and pinions all interconnect to create a mechanism that allows the wearer to obtain the absolute precise fit. 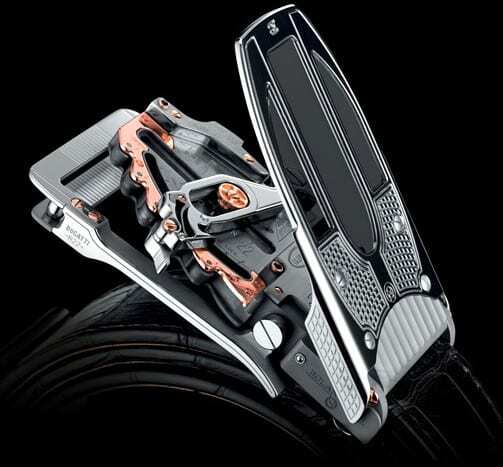 Comprised of precisely 100 components in solid white and rose gold, lightweight titanium and stainless steel, each piece of this limited edition series of 22, has been entirely handcrafted, polished and assembled by master craftsmen in hi-precision watch-making in Geneva, Switzerland and supervised throughout the production process by Roland Iten himself.